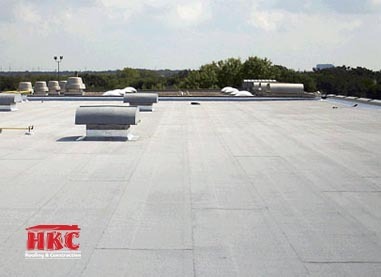 HKC roofing specializes in the repair, restoration and maintenance of modified bitumen roof systems (torch-down roof). Modified bitumen roof systems are an evolution of asphalt roofing. It is made from asphalt and a variety of modifiers and solvents to produce a hybrid sheet with many enhanced characteristics. There are several ways to apply modified bitumen sheets. In a heat application process the seams are heated to melt the asphalt together and create a seal. There is also a cold-applied adhesive application, and some self-adhesive forms of this system. This material is also referred to as APP or SBS. Modified bitumen roofs are extremely durable and have a long performance life when installed correctly. These roofs have many economical repair and maintenance solutions to extend the useful life of the system. 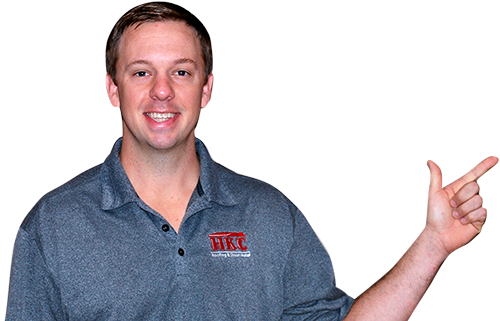 Contact HKC to learn more about your Modified Bitumen roof system and how to best maintain it to reduce the need for costly repairs.